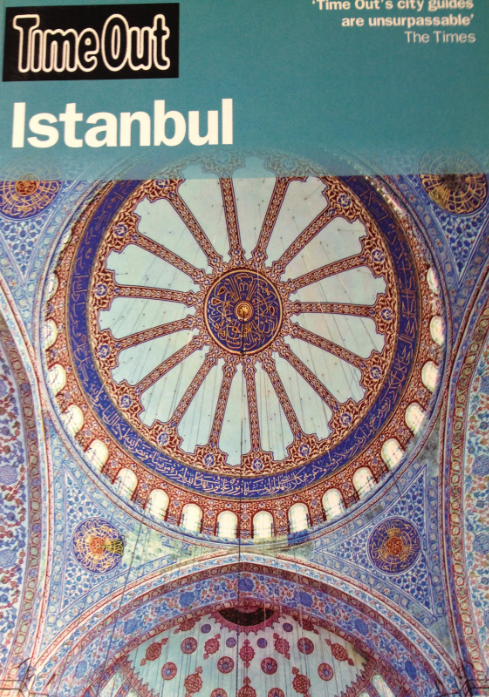 "Beyoglu is a great place from which to explore the city. It reminded me of Montmartre, located on a hill with narrow winding lanes lined with bakeries, lokantas (traditional Turkish restaurants with pre-cooked dishes kept warm in bain-maries so that you look, point, and get the dish on your table by the time you’re seated). There are also trendy coffee bars, boutiques and bookshops. We stayed at Izaz, a building comprising four elegant studio apartments in Balik Sokak, the fish and fruit market which never seemed to sleep. Sitting on my tiny balcony, I used to look down on elderly men sitting outside a café drinking apple tea and playing back- gammon while next door, a barber tended to his customers. 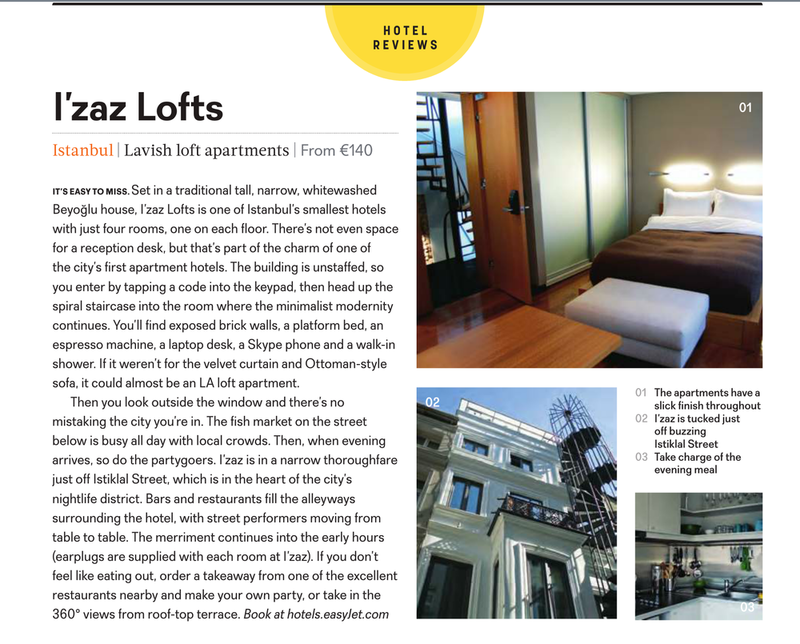 Izaz is just a minute’s walk from Istanbaul’s widest and liveliest street, Istiklal Caddesi. When you are perambulating this pedestrianised street with a tram running through it, remember to look up to enjoy the 19th century architecture of the apartments above the shops and restaurants. On most days, the boy and I would turn off Istiklal and walk down the steep Yeni Carsi Caddesi for the short tram ride to the Old City of Sultanahmet where great monuments and museums are located."